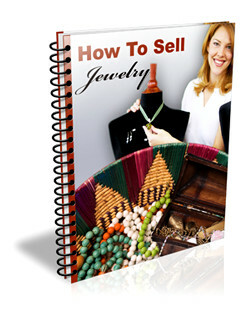 Description: This eBook will give you the ins and outs of selling jewelry. Inside this eBook, you will discover the topics about the reasons why people buy jewelry, types of jewelry to sell, words or phrases that sell jewelry, graphics or images that sell jewelry, stories that sell jewelry, backend products to sell with jewelry, bonus or content ideas that sell jewelry, keywords and phrases that sell jewelry, and special offers that sell jewelry. ► Contains 5 Pages and 918 Words. 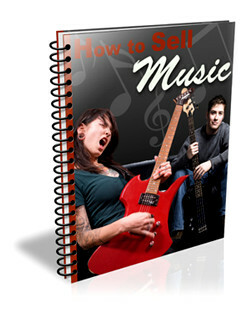 Description: This eBook will give you the ins and outs of selling music. Inside this eBook, you will discover the topics about the reasons why people buy music, types of music to sell, words or phrases that sell music, graphics or images that sell music, stories that sell music, backend products to sell with music, bonus or content ideas that sell music, keywords and phrases that sell music, and special offers that sell music. ► Contains 5 Pages and 966 Words. 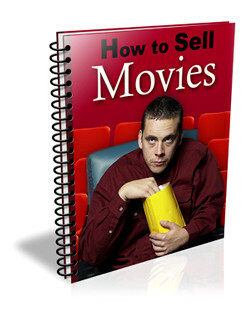 Description: This eBook will give you the ins and outs of selling movies. Inside this eBook, you will discover the topics about the reasons why people buy movies, types of movies to sell, words or phrases that sell movies, graphics or images that sell movies, stories that sell movies, backend products to sell with movies, bonus or content ideas that sell movies, keywords and phrases that sell movies, and special offers that sell movies. ► Contains 5 Pages and 924 Words. 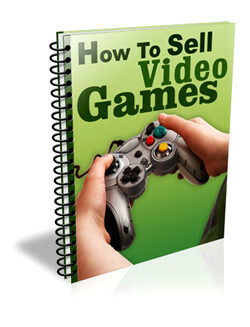 Description: This eBook will give you the ins and outs of selling video games. Inside this eBook, you will discover the topics about the reasons why people buy video games, types of video games to sell, words or phrases that sell video games, graphics or images that sell video games, stories that sell video games, backend products to sell with video games, bonus or content ideas that sell video games, keywords and phrases that sell video games, and special offers that sell video games. ► Contains 4 Pages and 843 Words. 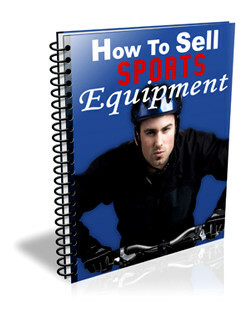 Description: This eBook will give you the ins and outs of selling sports equipment. Inside this eBook, you will discover the topics about the reasons why people buy sports equipment, types of sports equipment to sell, words or phrases that sell sports equipment, graphics or images that sell sports equipment, stories that sell sports equipment, backend products to sell with sports equipment, bonus or content ideas that sell sports equipment, keywords and phrases that sell sports equipment, and special offers that sell sports equipment. ► Contains 4 Pages and 866 Words. 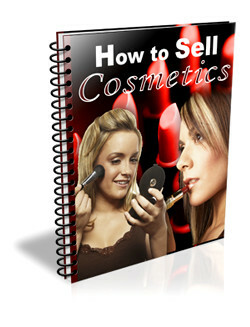 Description: This eBook will give you the ins and outs of selling cosmetics. Inside this eBook, you will discover the topics about the reasons why people buy cosmetics, types of cosmetics to sell, words or phrases that sell cosmetics, graphics or images that sell cosmetics, stories that sell cosmetics, backend products to sell with cosmetics, bonus or content ideas that sell cosmetics, keywords and phrases that sell cosmetics, and special offers that sell cosmetics. ► Contains 4 Pages and 867 Words. 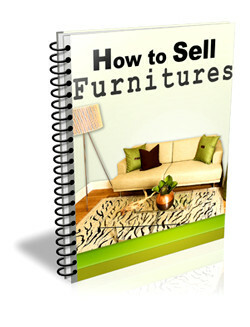 Description: This eBook will give you the ins and outs of selling furniture. Inside this eBook, you will discover the topics about the reasons why people buy furniture, types of furniture to sell, words or phrases that sell furniture, graphics or images that sell furniture, stories that sell furniture, backend products to sell with furniture, bonus or content ideas that sell furniture, keywords and phrases that sell furniture, and special offers that sell furniture. ► Contains 5 Pages and 868 Words. 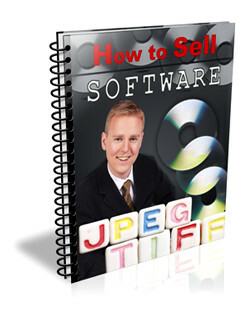 Description: This eBook will give you the ins and outs of selling software. Inside this eBook, you will discover the topics about the reasons why people buy software, types of software to sell, words or phrases that sell software, graphics or images that sell software, stories that sell software, backend products to sell with software, bonus or content ideas that sell software, keywords and phrases that sell software, and special offers that sell software. ► Contains 5 Pages and 885 Words. 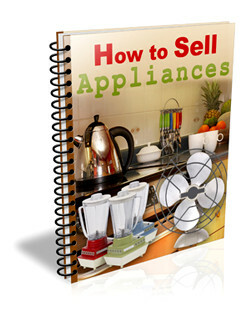 Description: This eBook will give you the ins and outs of selling appliances. Inside this eBook, you will discover the topics about the reasons why people buy appliances, types of appliances to sell, words or phrases that sell appliances, graphics or images that sell appliances, stories that sell appliances, backend products to sell with appliances, bonus or content ideas that sell appliances, keywords and phrases that sell appliances, and special offers that sell appliances. ► Contains 4 Pages and 826 Words. 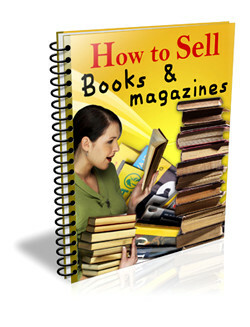 Description: This eBook will give you the ins and outs of selling books and magazines. Inside this eBook, you will discover the topics about the reasons why people buy books and magazines, types of books and magazines to sell, words or phrases that sell books and magazines, graphics or images that sell books and magazines, stories that sell books and magazines, backend products to sell with books and magazines, bonus or content ideas that sell books and magazines, keywords and phrases that sell books and magazines, and special offers that sell books and magazines. ► Contains 4 Pages and 819 Words. 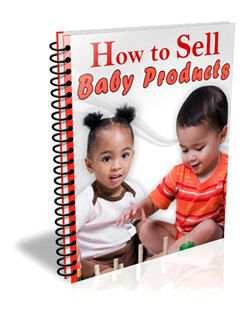 Description: This eBook will give you the ins and outs of selling baby products. Inside this eBook, you will discover the topics about the reasons why people buy baby products, types of baby products to sell, words or phrases that sell baby products, graphics or images that sell baby products, stories that sell baby products, backend products to sell with baby products, bonus or content ideas that sell baby products, keywords and phrases that sell baby products, and special offers that sell baby products. ► Contains 4 Pages and 772 Words. 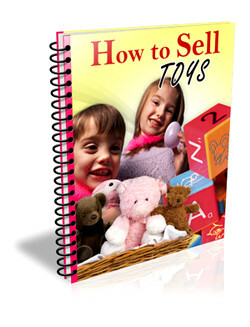 Description: This eBook will give you the ins and outs of selling toys. Inside this eBook, you will discover the topics about the reasons why people buy toys, types of toys to sell, words or phrases that sell toys, graphics or images that sell toys, stories that sell toys, backend products to sell with toys, bonus or content ideas that sell toys, keywords and phrases that sell toys, and special offers that sell toys. ► Contains 4 Pages and 800 Words. 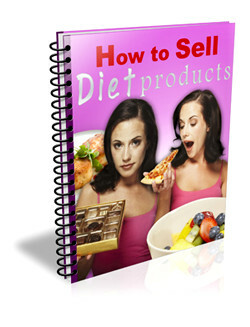 Description: This eBook will give you the ins and outs of selling diet products. Inside this eBook, you will discover the topics about the reasons why people buy diet products, types of diet products to sell, words or phrases that sell diet products, graphics or images that sell diet products, stories that sell diet products, backend products to sell with diet products, bonus or content ideas that sell diet products, keywords and phrases that sell diet products, and special offers that sell diet products. ► Contains 4 Pages and 862 Words. 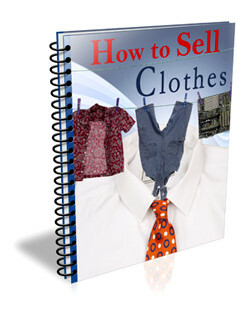 Description: This eBook will give you the ins and outs of selling clothes. Inside this eBook, you will discover the topics about the reasons why people buy clothes, types of clothes to sell, words or phrases that sell clothes, graphics or images that sell clothes, stories that sell clothes, backend products to sell with clothes, bonus or content ideas that sell clothes, keywords and phrases that sell clothes, and special offers that sell clothes. ► Contains 4 Pages and 823 Words. 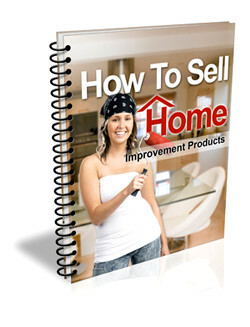 Description: This eBook will give you the ins and outs of selling home improvement products. Inside this eBook, you will discover the topics about the reasons why people buy home improvement products, types of home improvement products to sell, words or phrases that sell home improvement products, graphics or images that sell home improvement products, stories that sell home improvement products, backend products to sell with home improvement products, bonus or content ideas that sell home improvement products, keywords and phrases that sell home improvement products, and special offers that sell home improvement products. ► Contains 4 Pages and 815 Words. 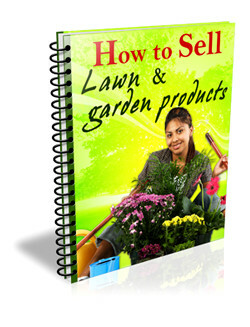 Description: This eBook will give you the ins and outs of selling lawn and garden products. Inside this eBook, you will discover the topics about the reasons why people buy lawn and garden products, types of lawn and garden products to sell, words or phrases that sell lawn and garden products, graphics or images that sell lawn and garden products, stories that sell lawn and garden products, backend products to sell with lawn and garden products, bonus or content ideas that sell lawn and garden products, keywords and phrases that sell lawn and garden products, and special offers that sell lawn and garden products. ► Contains 4 Pages and 824 Words. 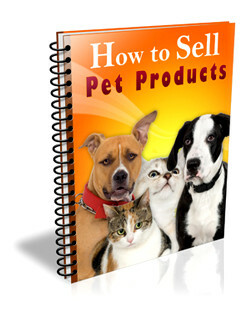 Description: This eBook will give you the ins and outs of selling pet products. Inside this eBook, you will discover the topics about the reasons why people buy pet products, types of pet products to sell, words or phrases that sell pet products, graphics or images that sell pet products, stories that sell pet products, backend products to sell with pet products, bonus or content ideas that sell pet products, keywords and phrases that sell pet products, and special offers that sell pet products. ► Contains 4 Pages and 782 Words. 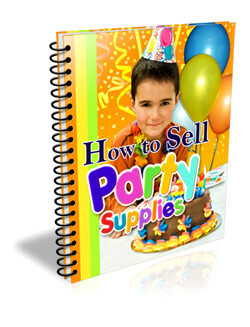 Description: This eBook will give you the ins and outs of selling party supplies. Inside this eBook, you will discover the topics about the reasons why people buy party supplies, types of party supplies to sell, words or phrases that sell party supplies, graphics or images that sell party supplies, stories that sell party supplies, backend products to sell with party supplies, bonus or content ideas that sell party supplies, keywords and phrases that sell party supplies, and special offers that sell party supplies. ► Contains 4 Pages and 746 Words.